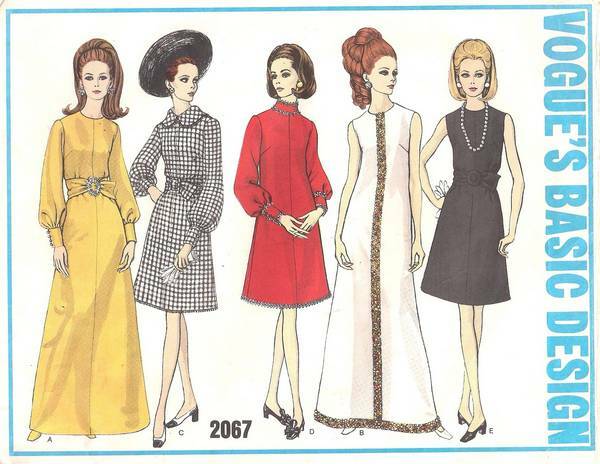 Versatile Vogue Basic Design pattern, circa 1969, for slightly fitted A-line dress in evening or street length with neckline and sleeve variations. Jewel neckline, Peter Pan collar or standing collar. Full length sleeves gathered into wide cuff or sleeveless. With or without self belt. Uncut, complete and in factory folds. Overall excllent condition.